The BC Residential Tenancies Act can be a pretty intimidating document for a student to try and understand; with much more legal jargon than a lease! Nonetheless, the RTA is a document that every student renter should have a basic understanding of. Here is a translation of some key sections of the RTA and how they apply to student renters in British Columbia. 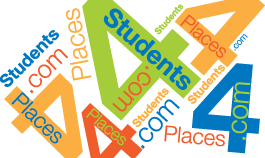 Please note that we are not legal professionals at Places4Students.com and cannot provide legal advice. The following information is a basic overview and interpretation of the RTA, highlighting some important sections that relate to student renters. 1. Is a lease agreement required, regardless of the renting situation? Yes. All BC rentals are required to have a written tenancy agreement, whether it’s a fixed-term or periodic rental arrangement. 2. Is it legal for a landlord in British Columbia to use a “no-pets” clause? Yes. A landlord may prohibit pets or have specific conditions and criteria for accepting pets. 3. Is a landlord required to give me receipts for rent payments? A landlord is only required to provide rent receipts for rent paid in cash. 26(2) A landlord must provide a tenant with a receipt for rent paid in cash. 4. What is the maximum security deposit a landlord can request? A landlord may set a security deposit or pet damage deposit that is not greater than the equivalent of half one month’s rent. 19 (1) A landlord must not require or accept either a security deposit or a pet damage deposit that is greater than the equivalent of 1/2 of one month's rent payable under the tenancy agreement. 5. Can a landlord prohibit or restrict me from having guests over? Assuming this is a rental unit where there are no shared common areas between the landlord and the tenant, the landlord cannot prohibit guests or interfere with the tenants’ quiet and peaceful enjoyment of the rental accommodation. d) use of common areas for reasonable and lawful purposes, free from significant interference. 6. What about my boyfriend/girlfriend - can a landlord prohibit them from coming over or staying the night? Assuming the same as #5, a landlord cannot prohibit a boyfriend/girlfriend from staying the night, as this could be considered as interfering with the quiet and peaceful enjoyment of the accommodation. 7. Can my landlord require me to provide post-dated rent cheques? According to CMHC, landlords may request post-dated cheques. 8. Does the Residential Tenancies Act apply to on-campus housing or housing owned and operated by a college or university? 4 (b) living accommodation owned or operated by an educational institution and provided by that institution to its students or employees. 9. Does the Residential Tenancies Act apply to rental housing where there are shared areas with the property owner (landlord)? If a student shares a rental accommodation with the landlord that involves sharing a bathroom or kitchen area, the RTA does not apply. 4 (b) living accommodation in which the tenant shares bathroom or kitchen facilities with the owner of that accommodation. 10. How much notice must a landlord provide before entering a rental unit? Generally speaking, a landlord must provide at least 24 hours of notice to a tenant before entering the rental property. 11. Under what circumstances can a landlord enter a rental property without providing proper notice? There are only a few situations in which a landlord is legally allowed to enter a rental unit without providing notice, most commonly being due to emergency repairs. Other reasons are cited above in section 29 (1) (d) & (e). (vi) in prescribed circumstances, a rental unit or residential property. 12. Does a tenant need written approval from the landlord to sublet? Yes. The original tenant is required to obtain written consent from the landlord to permit subletting. 34 (1) Unless the landlord consents in writing, a tenant must not assign a tenancy agreement or sublet a rental unit. (2) If a fixed term tenancy agreement is for 6 months or more, the landlord must not unreasonably withhold the consent required under subsection (1). 13. How much notice must a tenant provide before terminating or ending a lease? A tenant must provide at least one month's notice, but some different terms apply, depending on whether it’s a periodic tenancy or a fixed term tenancy. SEE ALSO: What Can My Landlord Evict Me For?